Is your smartphone the last thing you look at before you go to sleep? There’s a very good chance the answer is yes, and equally, there is an excellent chance you’ve no idea of the potential damage it does to your eyes and sleep patterns. The problem is caused by the blue light that’s emitted by the screen on your phone, which does an excellent job of ruining your sleep patterns, because it mimics light produced by the sun. That’s not good when you’re trying to sleep. Beyond that, if you look at a phone, computer, or TV screen during the day — and 30-percent of adults spend more than nine hours a day doing so — the exposure to blue light can lead to eye strain, headaches, blurred vision, and dry eyes. If that all sounds familiar, and you think that blue light could be a cause of your troubles, there are two solutions open to you. Stop looking at the screen for at least two hours before bedtime (yeah, we know, that’s probably not going to happen), or wear glasses that slash the amount of blue light that enters your eyes. In the past, these computer glasses have made you look a bit silly, with their yellowy brown lenses and basic design. However, Japanese eyewear experts Jins — the same company that gave us the awesome Meme smart glasses — has changed all that with the Jins Screen range. According to Jins, 72.5-percent of adults are completely unaware of the problems caused by overexposure to blue light, which effectively fools the body into thinking it’s daytime. However, isn’t all this just another scare story generated by our overly health-and-safety conscious society? A clinical study carried out by Jins and the Keio University in Japan showed the Critical Flicker Frequency, or CFF, which is used to measure eye strain, decreased when a screen was viewed while wearing special blocking lenses. The big difference here is the lenses are clear, so the Jins Screen look just like regular glasses, except they block 25-percent of the blue light emitted from the screen of your device. What’s more, the lenses are tuned to take away the key 460nm wavelength, which is not only the one that’s most problematic in terms of sleep disruption, but also produced in far higher quantities by smartphones than any other type of screen. That makes the glasses very relevant, and far more in tune with modern needs than an old pair of ugly computer glasses. Jins will start selling the Screen glasses on August 8, and there are several different options available. The Boxed Jins Screen are non-prescription specs, which come in eight different colors and two styles. The $60 Square version goes on sale first, and another design called Wellington will follow in September for $80. Those ones are great, but not if you normally wear prescription glasses anyway. The good news is Jins will offer the Screen anti-blue-light technology on its prescription glasses as well. Available as an extra coating on any of its Jins frames and lenses, protection can be added for an additional $60. A pair of Jins glasses with lenses costs between $60 and $120 depending on your choices, making them excellent value. If you’re guilty of staring at your phone right before you close your eyes at night — or are plagued by eye strain, headaches, and poor sleep — but doubt you have the inner strength to put down the phone, Jins Screen glasses could be a realistic solution to an issue that’s hard to overcome. 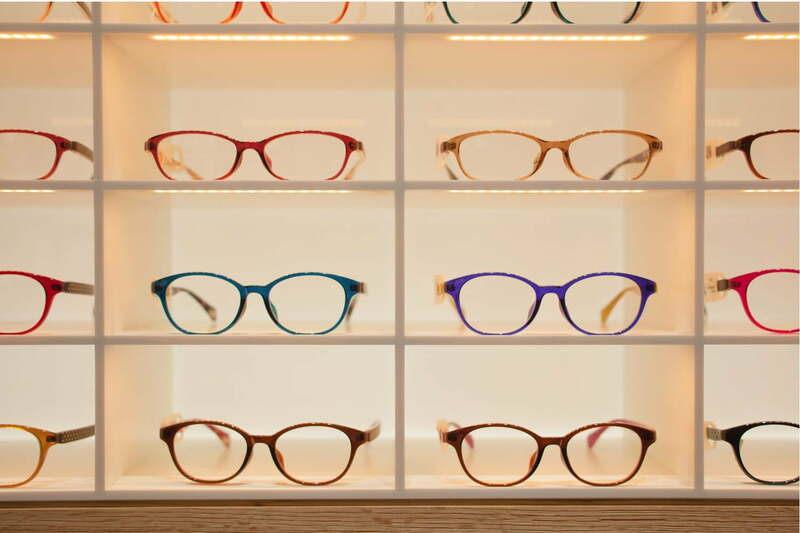 The Jins Screen glasses are available online, or in the company’s newly opened store in Union Square, San Francisco. The Legend of Zelda series is one of the most iconic video game franchises of all time, featuring more than a handful of the very best games ever made. We ranked all of the games in the series timeline from best to worst.